Experience New York City at your own pace with the NYC Walking Tour Audio Guide! Simply hop-off the double decker bus stops listed and discover New York City through a series of wondrous narration! Gray Line New York has a limited time offer of $10 off the “Night on the Town tour“, get it now! This nocturnal tour package includes a dazzling, fully guided night tour in English in the comfort of an air-conditioned motorcoach. This amazing tour package includes a guided walking tour of the new Highline in the Meat packing district, a romantic dinner at one of Little Italy’s oldest restaurants, a cruise on board NY Watertaxi where you’ll stop for a champagne toast at close-up view of the Statue of Liberty and a ticket for a jaw dropping view of the city skyline from the Top of the Rock Observatory. An amazing value package and very romantic! New Restaurant menus added to Gray Line! 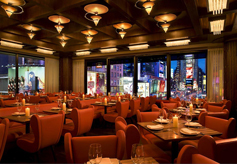 Two Times Square Restaurant & Lounge features spectacular panoramic views of Times Square and a twist on contemporary American fare. Perfect for pre-theatre dining or cocktails with the best view in the neighborhood! 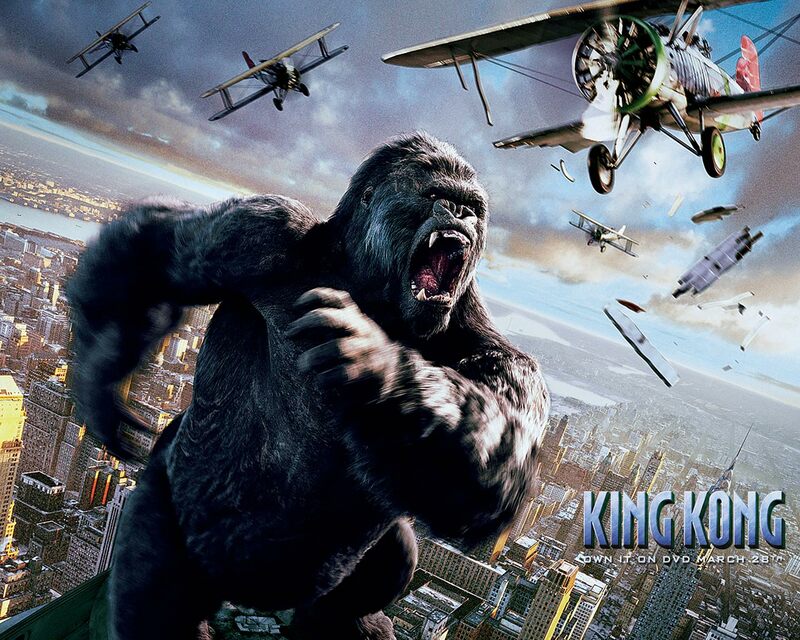 What are your top New York City Films? 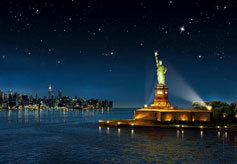 Enjoy the night scenery of the Big Apple with a romantic Night on the Town tour. It includes a tour on Gray Line Motor Coach, a guided walking tour of the HighLine, a cruise on-board NY WaterTaxi, dinner at Grotta Azzura and entrance to the Top of the Rock observation deck. All for a great price! New Attractions added to Freestyle New York Tour! Due to the overwhelming popularity of the Freestyle New York tour, we have just added new attractions to pick from! 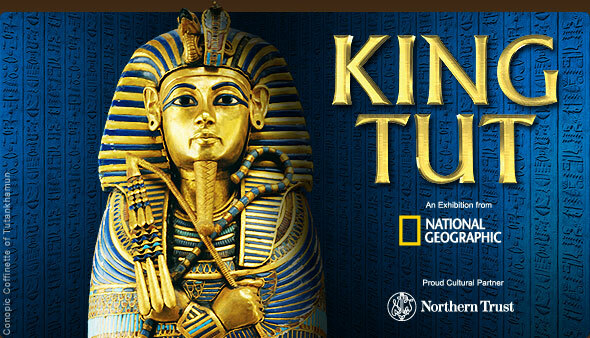 They include Lincoln Center, The amazing King Tut Exhibition , lunch at Bella Napoli and many more to choose from. Check it out!